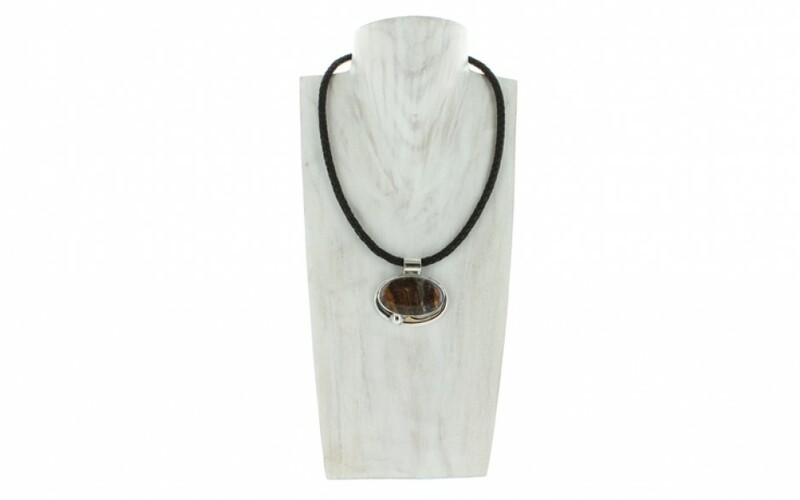 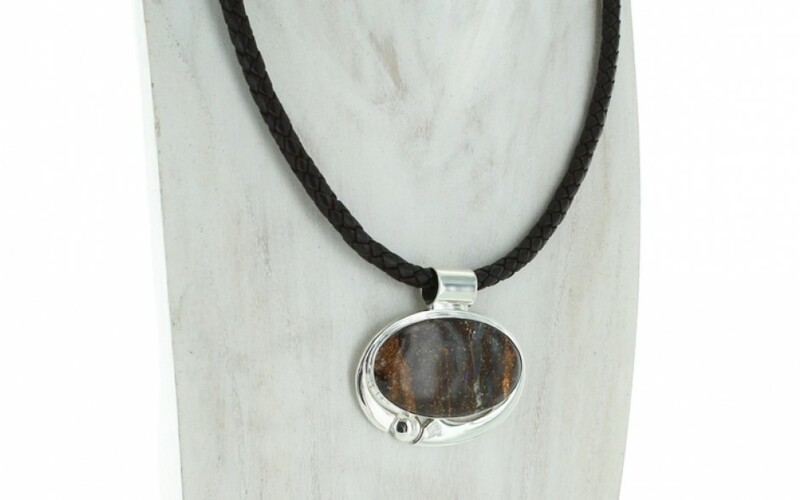 A large, dark brown and caramel boulder opal is cut into an oval shape and placed into an offset oval sterling silver setting. 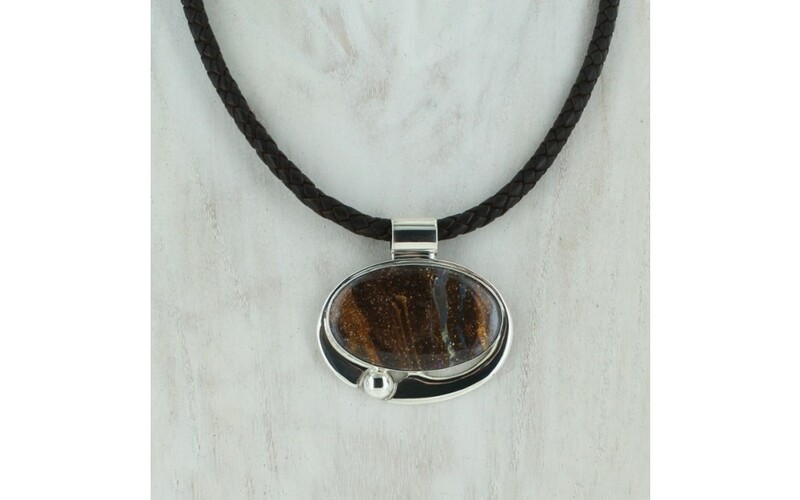 A small bead of silver is perched on the edge of the setting. 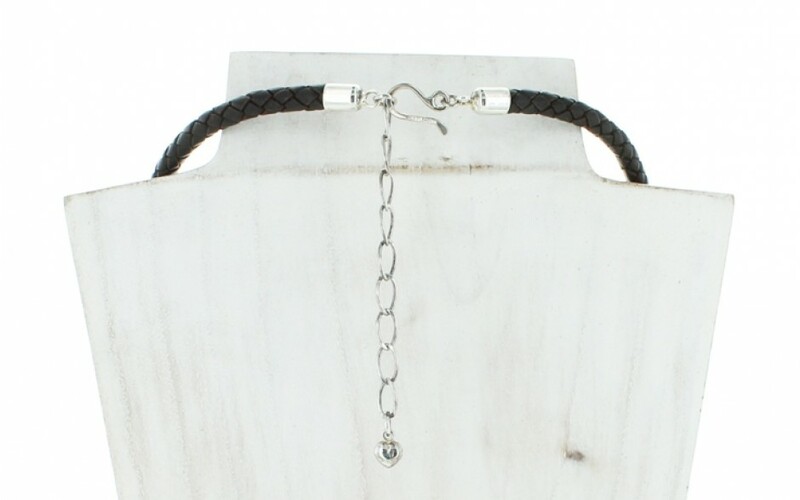 A small bail accommodates the black braided leather necklace and is fastened with a hook and extender chain. 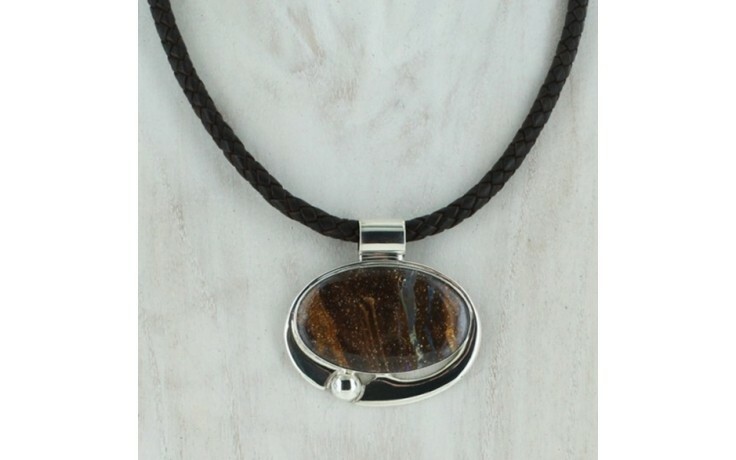 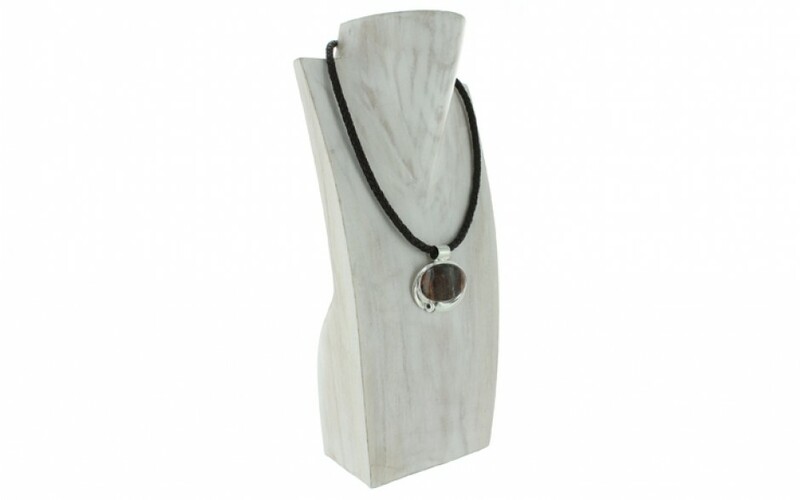 The pendant measures 1 11/16" inches by 1 13/16" wide.